Rochester earned the reputation of being the Imaging Capital, when the Eastman Kodak Co. was king, but the playing field is now different and imaging science has found expression in many different forms of technology. One of the new areas of imaging science that Rochester hopes to take the lead in is using technology to help decipher historical documents that could not otherwise be read because they are damaged, decayed or simply aren’t legible. Experts in such an application of imaging technology from Rochester Institute of Technology and the University of Rochester have formed a group, R-CHIVE (Rochester Cultural Heritage Imaging, Visualization, and Education), which is holding its first conference on Monday and Tuesday. Among the featured guests is Chet Van Duzer, a fellow at the U.S. Library of Congress who will discuss how imaging science helped make readable a map that Christopher Columbus might have studied. 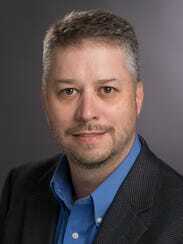 Another speaker, Michael Phelps, is executive director of the California-based Early Manuscripts Electronic Library. He has collaborated with St. Catherine’s Monastery in Egypt in using imaging techniques to recover erased text at this library, which is said to be the oldest continually run library in the world. The conference, which is open to the public, is a first step to raise Rochester’s profile as a go-to place in this emerging field. "We want them to come to Rochester — or at least to reach out to us — to learn how to do it," said David Messinger, who is the director of the Chester F. Carlson Center for Imaging Science at RIT. 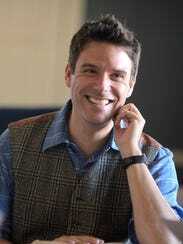 Last fall, R-CHIVE was formed by Messinger along with RIT imaging science professor Roger L. Easton Jr., who has worked on numerous projects to decipher historic texts, and Gregory Heyworth, who has collaborated with Easton and had just joined the UR faculty as an associate professor of English. During the spring semester, R-CHIVE held brainstorming sessions every couple of weeks, drawing about 20 students, faculty and staff from both schools. 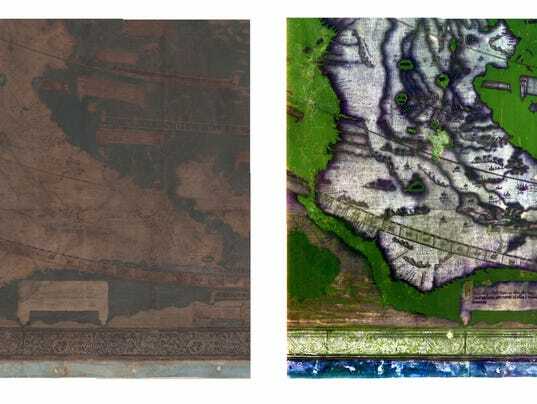 Although application of the imaging technology depends on the project, the goal is the same: Make historical texts and other treasures of history readable. Easton’s expertise is in spectral imaging processing. The text to be deciphered is exposed to a wide range of different wavelengths of light — from ultraviolet to infrared. A digital camera with a special lens allows the wavelengths to be clearly recorded on the camera’s sensor. Each wavelength records different characteristics of the text being studied. By using computer software, Easton can accentuate the contrasts between text and parchment that are recorded on the sensor. Even when the ink was erased, differences between where the text was written and the parchment can be brought out. "We can enhance very subtle differences and contrasts and reveal what the eye can't see," said Easton. Easton, who will provide an overview of imaging models at the conference, has used this technique to study ancient manuscripts at St. Catherine’s Monastery as well as in such other places as Cambridge, England, Rome and Udupi, India. Last year, he completed helping University of Nebraska scholar Adrian Wisnicki on a project to decipher the 1870s diaries of David Livingstone. The British explorer has become familiar to many because of the greeting (“Dr. Livingstone, I presume?”) that he received when he met with another British explorer, Henry Stanley, in Africa. Heyworth, who has a Ph.D. in medieval comparative literature from Princeton University, contacted Easton in 2009 because he was having trouble deciphering a damaged manuscript. They struck up a friendship and formed the Lazarus Project. Accompanied by other scholars — including Van Duzer and Phelps — and technical experts, they have traveled around the world restoring everything from maps and manuscripts to cave paintings. "Lazarus, of course, was the man Christ raised from dead. I thought this was a good metaphor for what we are trying to do for manuscripts," said Heyworth. Heyworth, who will give the introductory remarks Monday at the conference, recently headed up an effort to using imaging science to make readable the damaged sheet music of an 18th century concerto by the German composer Georg Philipp Telemann. The sheet music, which was in a palace in Dresden, had been damaged by flooding of the Elbe River caused by the Allied bombing of that city in World War II. The concerto was performed by the graduate student and alumni last month at the Pierre Hotel in New York City. Messinger will give a presentation at the conference about how he has helped determine how a map of Great Britain was made in the 15th century. Work on making the original map was done over the course of that century. Scientists using imaging science to examine the map at the University of Oxford, in England, contacted Messinger. "They needed help in analyzing the data," said Messinger. He was able to determine that groups of towns were put on the map during the same time because similar ink was used to mark their names and locations. Different inks were used for different groupings. Even with imaging science, there remains some educated guesswork in zeroing in on details. The map that Columbus might have consulted — made by Henricus Martellus — is now at the Beinecke Rare Book & Manuscript Library at Yale University. But whether Columbus looked at this map or another by Martellus remains uncertain. "There is no Columbus thumb print on this map, but we know he was influenced by a map similar to this by the same mapmaker," said Van Duzer.